Château Angélus has a second wine named Le Carillon d’Angélus. It was first made in 1987 and accounts for 20 to 30% of the estate’s total production, depending on the year. 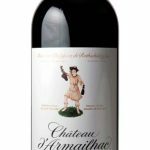 It is blended from varying proportions of Merlot, Cabernet Franc and Cabernet Sauvignon. They are partly picked on unclassified plots with clayey limestone and clayey sandy limestone soils. The vines are cared for in exactly the same way as those used to make the main wine. The same attention is paid to detail and selection during the harvest and winemaking as for the main wine. It is also aged in barrels, but not for so long and only half the wood is new in order to suit the wine’s specific requirements. Le Carillon d’Angélus therefore has its own identity and style. 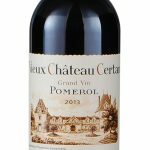 It is made to be kept for the mid-term and displays enjoyable fruit aromas of plum and sour cherry and has velvet-smooth tannins.